Scooper - Technology News: The world produces enough food to feed everyone. So why do people go hungry? The world produces enough food to feed everyone. So why do people go hungry? Last September, world leaders made a commitment to end hunger by 2030, as part of the United Nations Sustainable Development Goals (SDGs). It sounds like a massive undertaking. In fact, the world already produces enough food to feed everyone. So why does the problem persist? 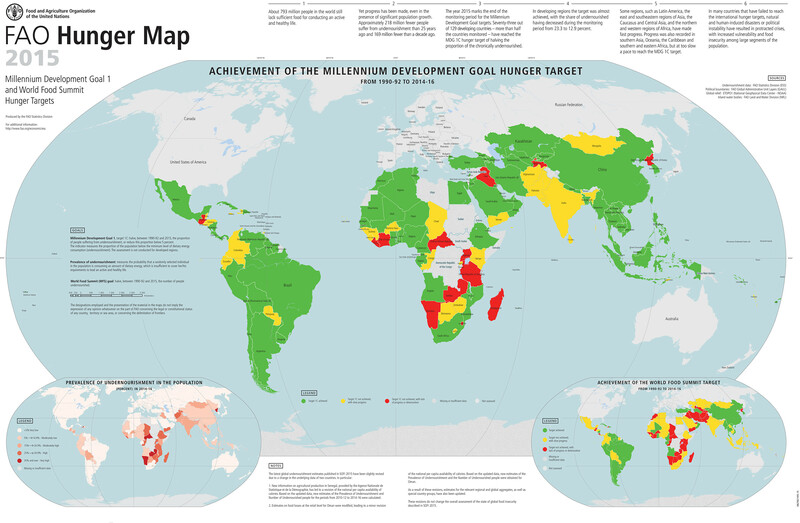 Poverty and hunger are intimately connected, which is why the SDGs target elimination of both. For someone living at the World Bank’s poverty line of $1.90 per day, food would account for some 50-70% of income. The Bank estimates that almost four-fifths of the world’s poor live in rural areas, though those areas account for less than half of the world’s population. The obvious conclusion is that raising rural incomes sustainably is required to eradicate hunger. That will not be easy. Most developing countries nowadays are burdened by high rates of unemployment and underemployment. And with current economic prospects bleak, especially given low commodity prices, and insistence on fiscal austerity continuing in most places, downward pressure on rural incomes is likely to worsen. But even if countries do manage to achieve inclusive growth, it will not be enough to eliminate hunger by 2030. The only way to do that will be to implement well-designed social protection and scale up pro-poor investments. According to the World Bank , one billion people in 146 low- and middle-income countries currently receive some form of social protection. Yet 870 million of those living in extreme poverty, mainly in rural areas, lack coverage. Unsurprisingly, the greatest shortfalls are in low-income countries, where social protection covers less than one-tenth of the population, 47% of which lives in extreme poverty. In the lower-middle-income countries, social protection reaches about a quarter of those living in extreme poverty, leaving about a half-billion people without coverage. In the upper middle-income countries, about 45% of those living in extreme poverty receive social-welfare benefits. This is clearly not good enough. Improved social protection can help to ensure adequate food consumption and enable recipients to invest in their own nutrition, health, and other productive capacities. As such investments sustainably raise incomes, they enable further increases in productive personal investments, thereby breaking the vicious cycle of poverty and hunger. Governments, too, have investments to make, in order to ensure that those who are currently mired in poverty reach the point where they can invest in themselves. An early big investment push would generate additional incomes sooner, reducing longer-term financing costs. Moreover, it would boost aggregate demand in a world economy that badly needs it. It should not be difficult to generate the political will to provide the needed support, at least in theory. After all, it has been more than a half-century since the adoption of the Universal Declaration of Human Rights and its Covenant on Economic, Social, and Cultural Rights, which treats the material needs of all persons as a fundamental human right. A few years earlier, US President Franklin D. Roosevelt called “freedom from want” – which, presumably, includes freedom from hunger – one of four essential freedoms of which people “everywhere in the world” should be assured. Now, with the adoption of the SDGs, governments everywhere are obliged to take responsibility for ending poverty and hunger, as well as for creating the conditions for ensuring that both are permanently overcome. The upcoming High-Level Political Forum on Sustainable Development presents an important opportunity to forge the path ahead, setting near- and medium-term priorities. Ending hunger and poverty in a sustainable way is morally right, politically beneficial, and economically feasible. For world leaders, inaction is no longer an option.